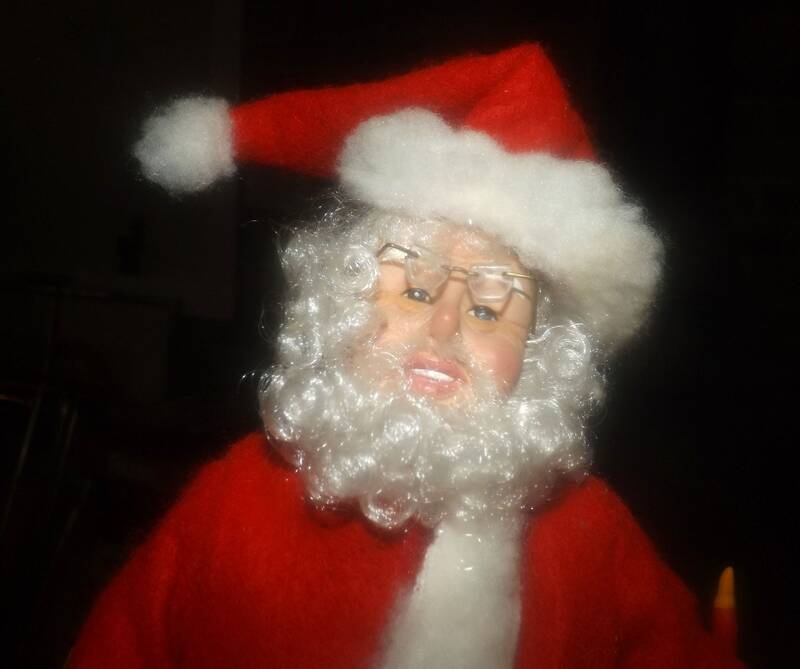 Vintage (1990) Dear Santa musical Christmas figurine | music box. 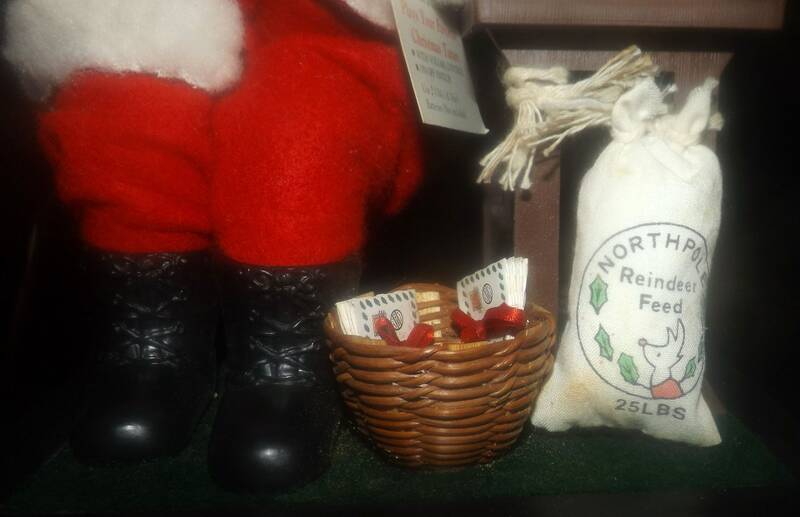 Santa checking his list of boys and girls. 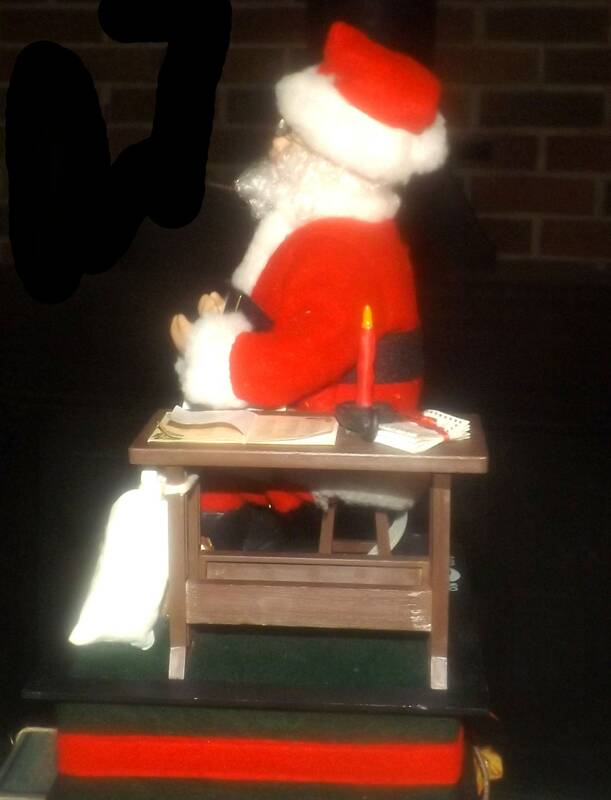 Vintage (1990) Dear Santa musical Christmas figurine. 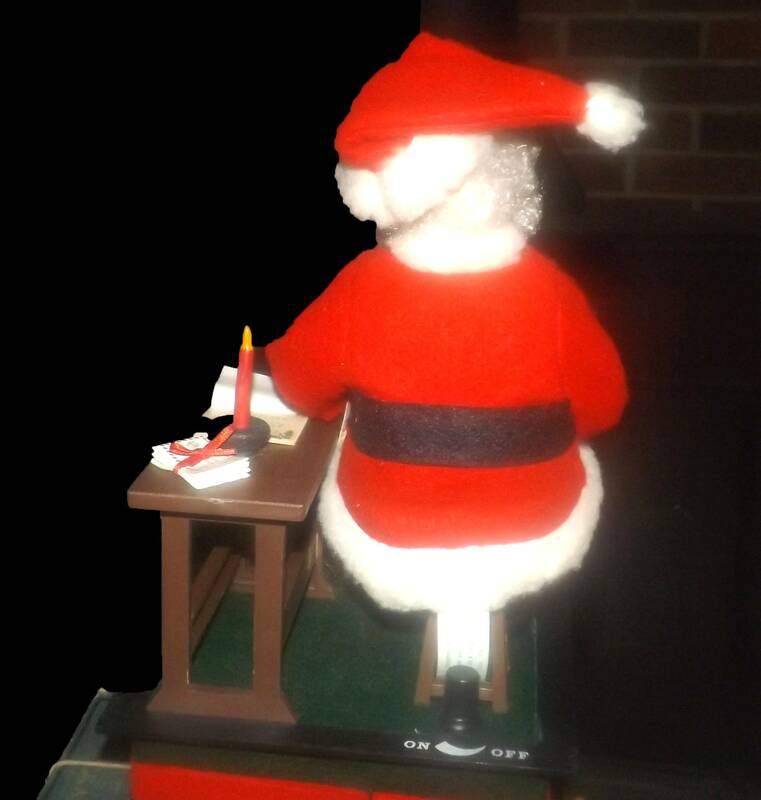 A very cute bit of holiday decor that features a bespectacled Santa sitting down at his work desk reading through the letters in his mail basket containing wish lists he has received from all the naughty and nice boys and girls. 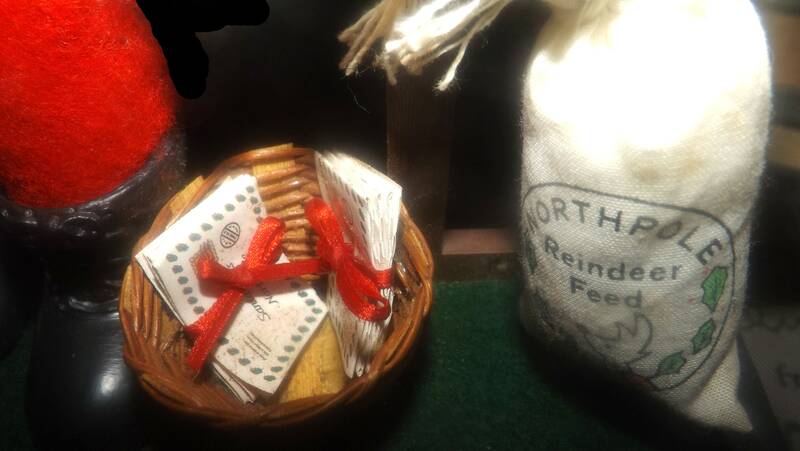 On the floor, beside the desk is a basket with as yet unread letters wrapped in ribbon and a bag of reindeer feed. 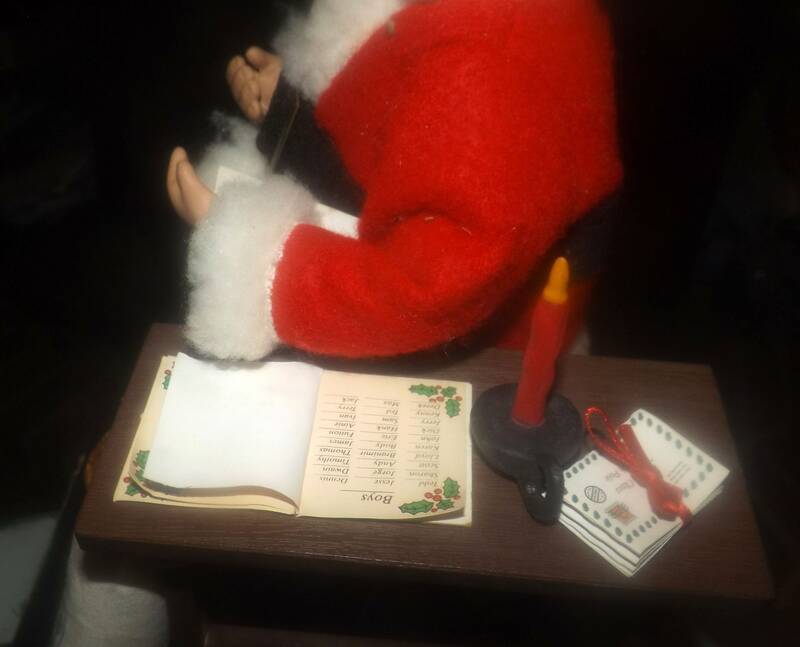 Santa's book of names - all those who were naughty and nice! in the past year - is on the desk beside him with his candlestick and another stack of mail! 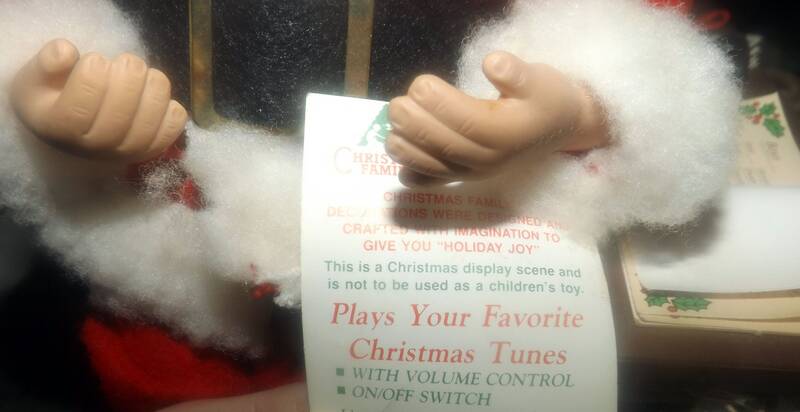 This figurine plays Christmas songs and has a volume control slider on the back. Operates on two "C" batteries (not included). THIS UNIT HAS BEEN TESTED AND OPERATES AS IT SHOULD. FULL WORKING ORDER. In EXCELLENT! 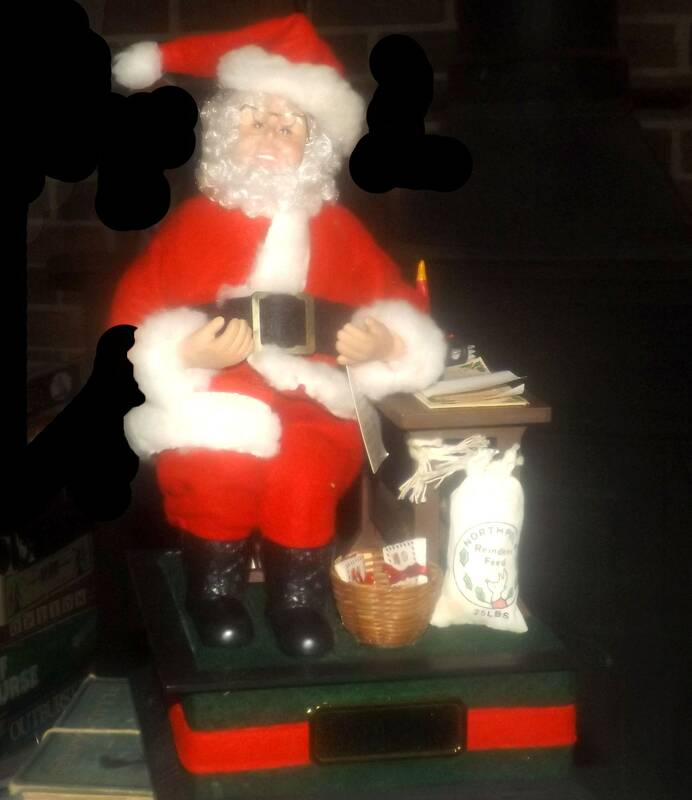 condition, this Dear Santa musical figurine appears to have been used very gently and or sparingly. Original tag still attached. NO! signs of rust or wear - in pristine condition. Very detailed and well crafted.